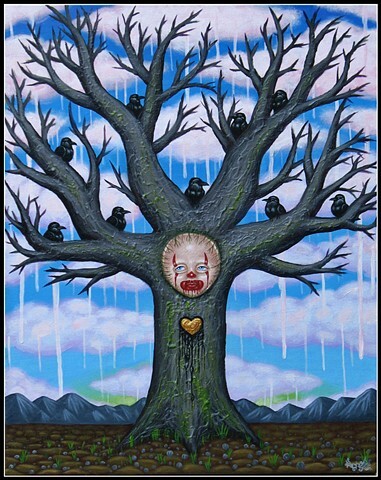 This is a painting that I did in 2008 which was exhibited in my ''Hopeless Lovers'' series, exhibited at Café Maelstrom(R.I.P.) then. I still had it laying around and liked it, so I decided to repaint it completely. This is the result.